Walking through the Lossless exhibit on a Tuesday afternoon, I was struck by the plurality of techniques used to communicate trauma, revision, and resistance. 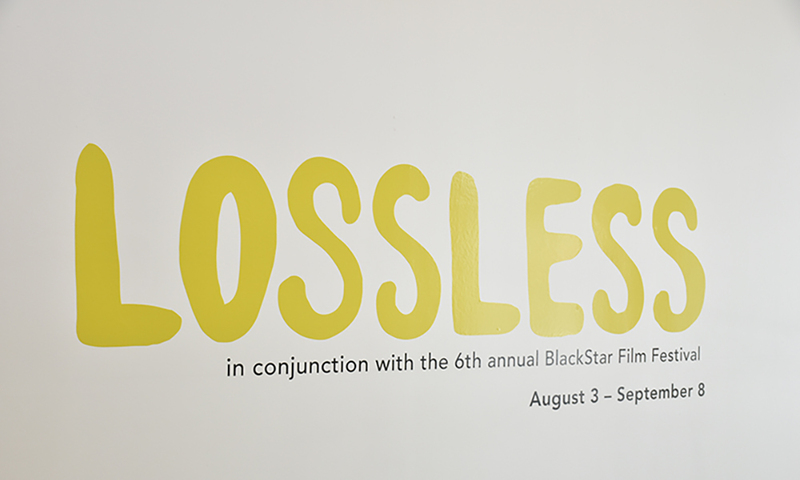 Currently at the Leonard Pearlstein Gallery in Philadelphia, the show is described in the program as an “exploration of Black and Brown bodies as a site of compression, considering the ways that labor, illusion, loss, lineage, and personhood are imagined and re-constructed.” Consisting of seven film installations, each elaborates on a sense of lost history or attempts to revise tropes regarding what it means to be othered. By the end of the collective experience — of consuming each of these pieces — all the witnessing had begun to settle into my bones. My notes were filled with theorists and concepts, I returned home bursting with ideas.